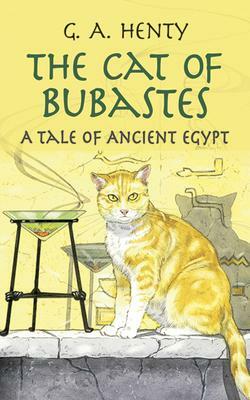 Chebron, the young son of an Egyptian high priest, and Amuba, a young slave in the boy's household, are close friends; but their lives are greatly altered when Chebron accidentally kills a cat, an animal held sacred by the ancient Egyptians. Forced to flee for their safety, the boys and their companions begin a long and dangerous journey. A thrilling adventure story, this is also a tale packed with historical facts. Among other fascinating details, young readers learn about the Egyptian religion and geography, how the Nile was used for irrigation, and how the Egyptians made war and were prepared for burial. A captivating book that accurately describes life in a once magnificent civilization, this volume will especially appeal to youngsters fascinated by the life and customs of ancient Egypt. A storyteller who specialized in blending authentic historical facts with exciting fictional characters, Henty produced more than 140 books and achieved a reputation as "The Prince of Storytellers." Immensely popular and widely used in schools for many years, Henty's novels continue to fire young imaginations with their spirited tales of adventure amid exciting historical times.